Gaby and her husband Sean and their four children live in a flat across from Grenfell Tower, and Sean (a Church of England minister) was the first clergy person on the scene. This book stems from personal experience of the impact of the fire. It feat tures the testimony of and commentary on the community that experienced it, and the amazing stories of hope that followed in its wake. 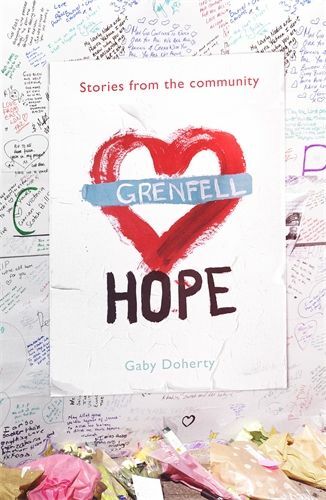 Grenfell Hope will help readers understand what it was like living in North Kensington before and after the fire. It will help engage the reader with poverty issues, to examine attitudes to the poor and to consider how even small gestures in everyday life can change local communities. In the desperate situation of the fire, God was at work in people’s hearts bringing hope in tiny gestures that mounted up to something enormous. Hope that couldn’t be ignored or even contained. Hope sprang out all over the country.